Welcome back to Games for the Masses, where we help you pay less to play more! This is a good week for the proletariat, comrades. 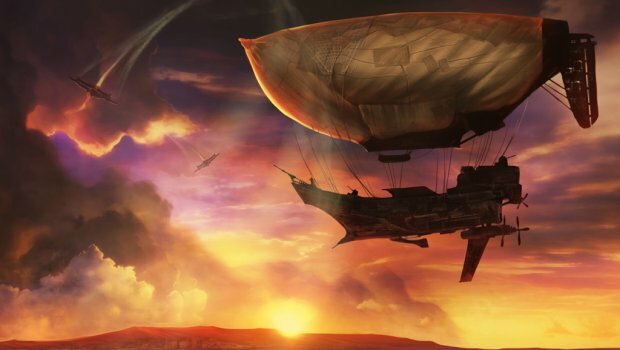 First off, we’re going back to the golden age of steam powered fantasy with Guns of Icarus Online ($6). A unique multiplayer experience, GoIO casts each player as a single crewman in a large floating gunship. Pilot, Engineer, or Gunner, you have a role to fill, and you’ll enjoy working with your shipmates to bring down your opponents. Gamers will also want to check back in to Steam’s sale on Bethesda and Id software all weekend. The deals will be rotating through, but look to pick up Call of Cthulu or Dishonored on the cheap. Other big deals of the week? The Humble Deep Silver Bundle will make you a fan of the Saint’s Row series, if nothing else. Putting in as little as a dollar will net you a copy of the excellent Saint’s Row III and the okay Risen 2. Other games include Saints Row 2, and the Dead Island zombie slaying series. The Humble Weekly Sale focuses on the Russian 1C Company. Avalible for sale are their two most famous franchises: Men of War and Kings Bounty. Men of War is sort of like a realism mod for Company of Heroes, making a much more granular experience in one of the best RTS engines. Kings Bounty, on the other hand, is a strategy RPG. Bioshock 1+2 ($5)—Two of the best shooters in the last generation. Bioshock is a legend at this point, but Bioshock 2 is largely overlooked because it isn’t quite so good as the original. If you’re willing to splurge a bit more, you can bundle both Bioshock 1 and 2 with the latest outing, Bioshock Infinite for $30 more. Papa & Yo ($4)–-A boy and his occasionally berserking monster. Those are the best sales I could find this weekend. Think we missed a big one? Let us know in the comments. Until next time, Game on, Comrades!